Josh stared at the fuel gauges, their needles close to empty. So much gasoline had already leaked from the tanks the engines could run but a few minutes more. When they turned toward the sun, it looked orange, its lower edge already below the horizon. Darkness crept through the valleys below. Doc twisted his map. "I dont see anything closer." Without a sputter the engines roar stopped. 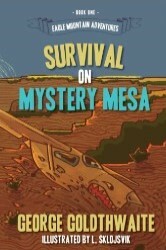 In Survival on Mystery Mesa, thirteen-year-old Alex Alvarez and her two friends, Josh and Mickey Schmidt, climb into a small plane. They have no idea of what dangers await. 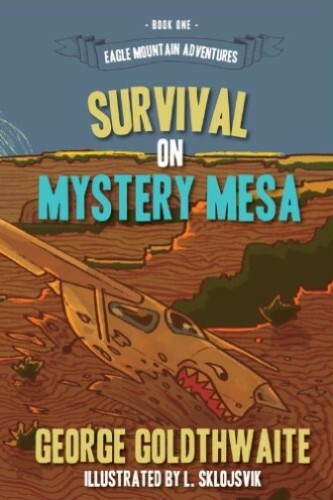 The engine quits and the terrified kids crash in the magical land of the Anasazi, a civilization whose last survivor died centuries ago. Or so they’d been told. 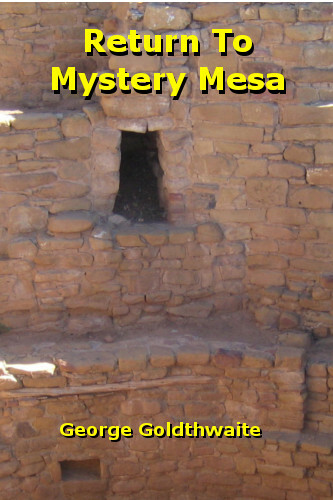 In Return to Mystery Mesa, Alex and Josh lead researchers to an ancient cliff dwelling. Grave robbers, intent on stealing priceless artifacts, follow. 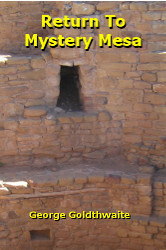 They trap the searchers in a kiva and leave them to die. But a dark and hidden tunnel, too small for the adults to travel, is the only escape from their underground tomb. Or is it? Several years ago I volunteered to help teach the brass section for beginning band students at our small-town elementary school. During that time, a local World War II veteran passed away and although the nearby Naval Reserve Unit would provide an honor guard, they had no bugler. I felt privileged when asked to play Taps for the ceremony, but honoring a veteran brings a solemn obligation to do the best I could. Having not played in several months, I had only two days to get my lips in shape, which in itself was stressful. At the ceremony, many emotions tore through me, from sharing the family's loss to the responsibility of playing perfectly. I wondered how a person in his early teens, an age so subject to peer pressure, would react. 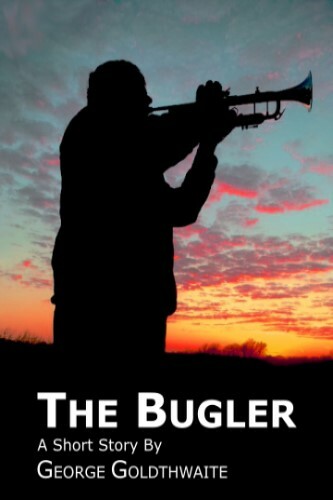 The result is my short story, The Bugler. I tried to give Josh the same emotions, the same fears, and the same sense of honor I felt so many years ago. To listen to George read The Bugler click on the yellow "LISTEN TO" link below which will take you to SoundCloud. You can also read The Bugler by clicking on the yellow "TO READ" button. posting to his Facebook page, sending him a Tweet or Instagraming him. The social media links below will take you to George's accounts.